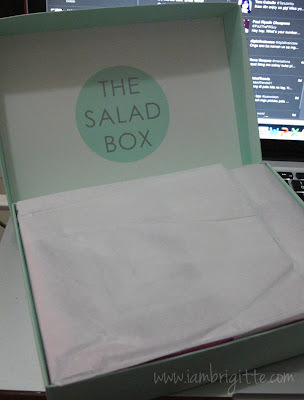 I must have been living under the rock, only to find out about sample subscription boxes when I was contacted by Paul of SaladBox months ago. After a bit of reading, I've learned that sample boxes like SaladBox are such a hit abroad. 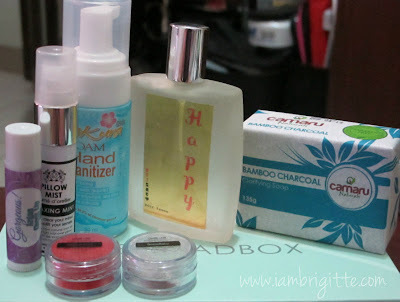 These boxes give you a chance to try out products before committing yourselves to buying them in full size. The concept is really great, at least you wouldn't end up wasting your money in case you didn't like what you bought. 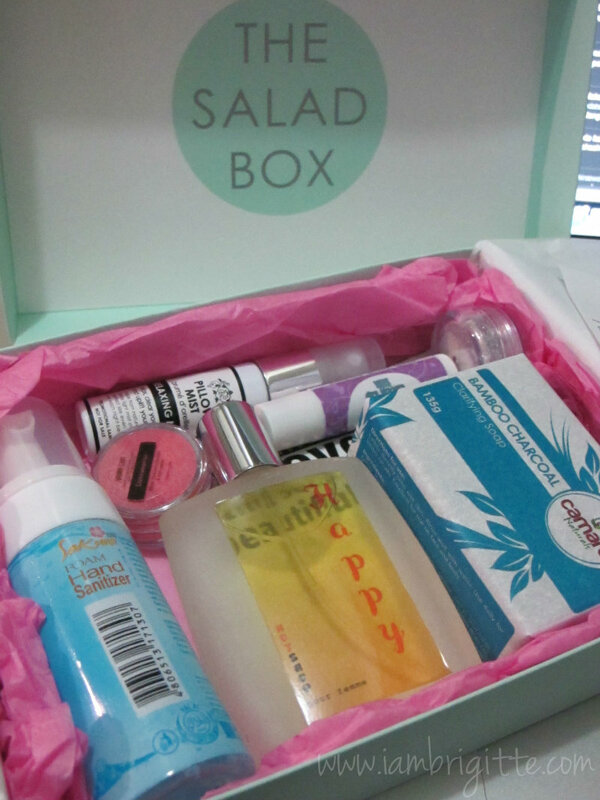 SaladBox is a beauty and lifestyle subscription service where you pay only Php500/box and you'll get four or more deluxe samples from beauty and lifestyle brands worldwide. 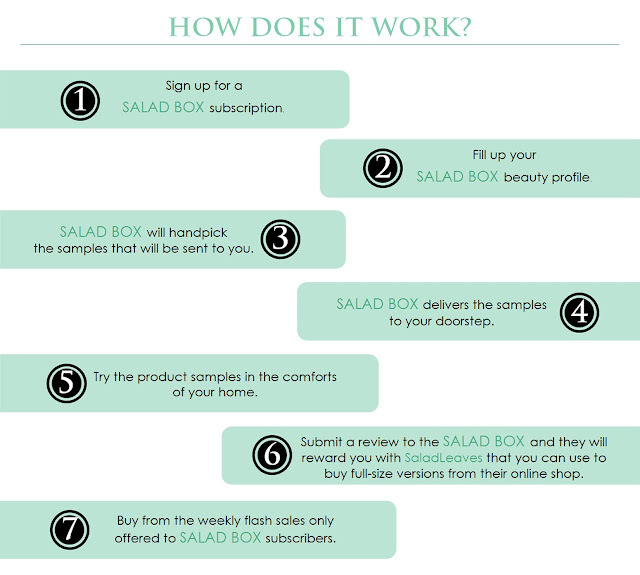 By doing product reviews, referrals and buying full-sized products from their online shop and flash sales, you get to earn SaladLeaves. And these SaladLeaves can also be used to buy full-sized products. I have to say I love the color of the box. It's not pink, but I still find it girly. So, does this box worth it? Known to effectively clear out your skin's impurities. 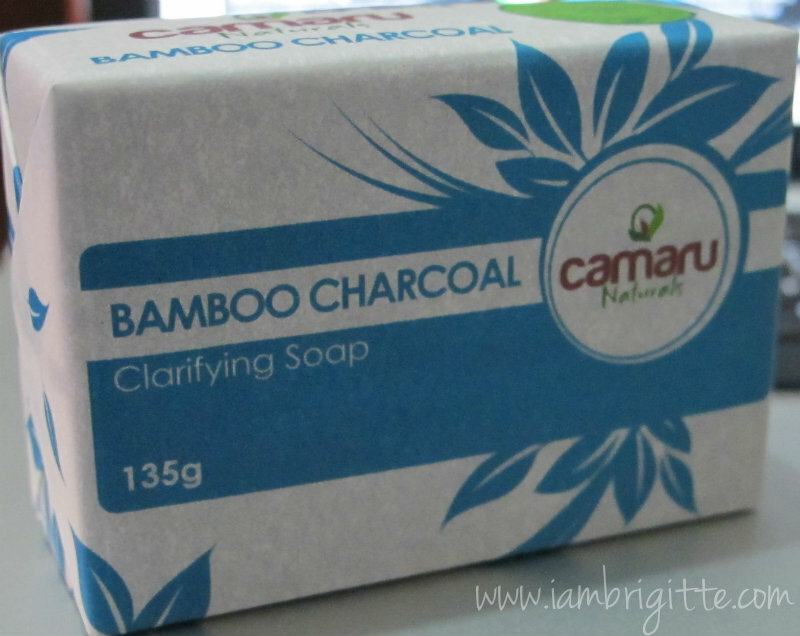 This soap also whitens and moisturizes the skin, and it's vegan. I've tried this soap a few months ago, and it's effective. Just be aware that it purges out skin impurities at first, but don't worry because they get dried up pretty quick by using this soap. Happy is a fragrance of joy, the essence of a sunny, happy morning. Wear Happy and be happy! 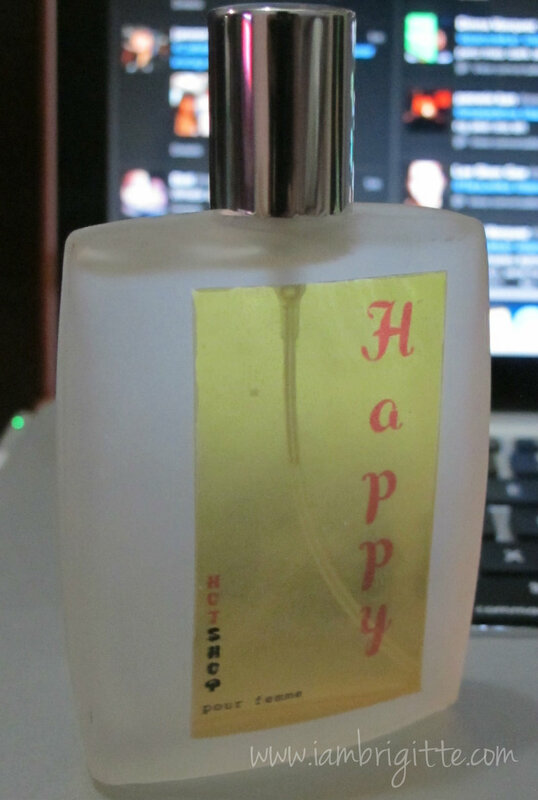 I love its fresh scent, too bad it doesn't last long. Also, I think the packaging needs more improvement, imho. We have been used to hand sanitizing gels, so trying this foam sanitizer can be strange and refreshng at the same time. But hey, who doesn't like trying new stuff? 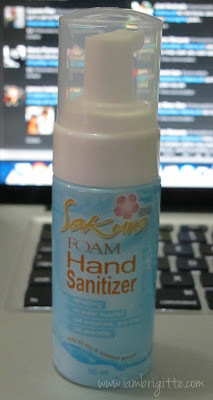 I've tried this already and yes, the foam-thingy is something different. It's sticky at first, but it goes away after drying. Infuse your pillow with this relaxing mint scent and feel refreshed as you head off to dreamland. Full size sells for Php150/60ml. 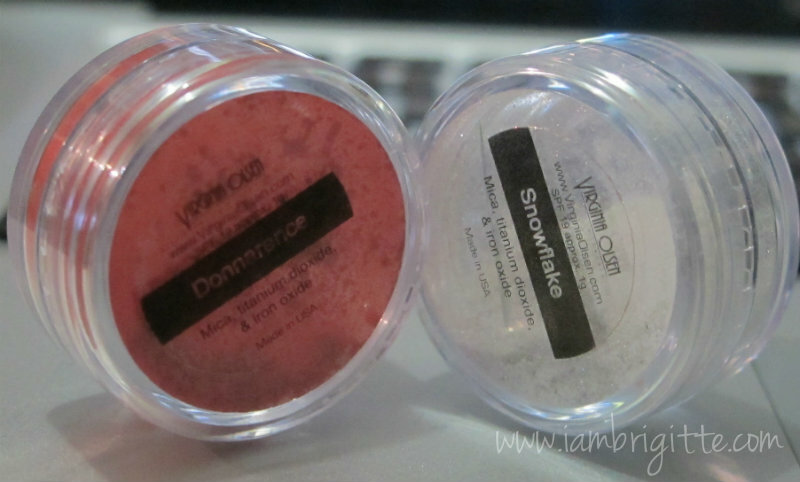 Give your eyes some color with these lovely mineral makeup. These babies are pigmented and they remind me of how much I love mineral makeup a few years back. Well, it started my makeup mojo! This dual-purpose wax-based stick gives an instant, lasting burst of color to your cheeks and lips. Perfect for girls on the go. I personally don't like the color, it looks reddish-orange on me. And the smell, it reminds me of Lola-lipstick. Probably this would work on other skintones. Nourish your hair with these fun, trial-sized shampoos. 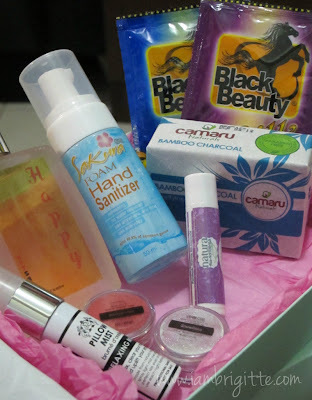 I received Black Beauty products a few months ago and I can say that their products are amazing. I love their Gold shampoo. It leaves my hair soft even without using a conditioner. 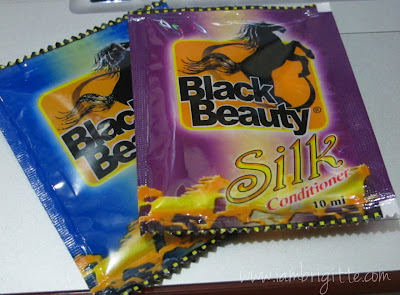 Black Beauty reminds me of Mane and Tail products, though the latter helps in making the hair thicker, using a conditioner after is a must. With Black Beauty, I'm not just sure if it can help in thickening the hair. 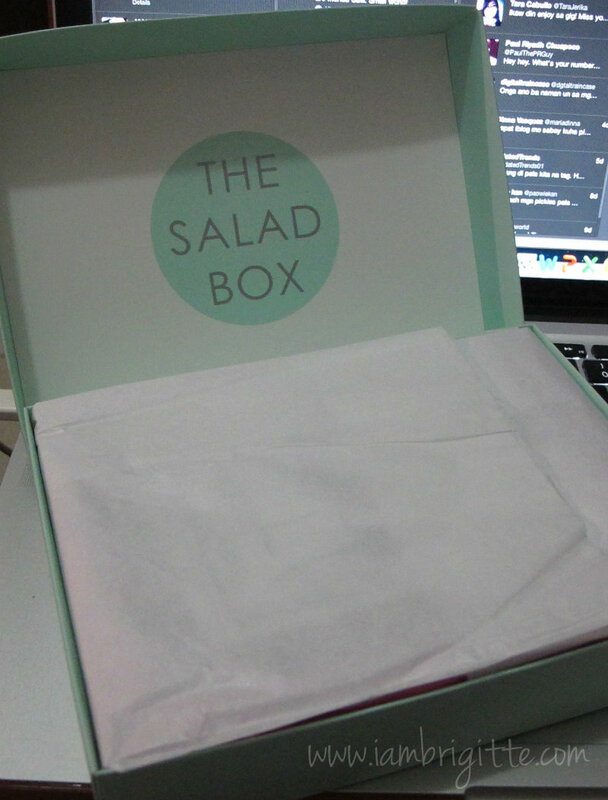 With subscription boxes like SaladBox, there's no assurance that you'd like everything you'll get in the box. But it's a great way to try out products without buying the full size. And it's also a way to discover new finds that you wouldn't have thought of buying in the first place. But then again, if you are not the adventurous type, these kind of boxes aren't for you. Besides, Php500 is still Php500...it's your hard-earned moolah and of course, you wouldn't want it going down the drain. To subscribe, click here. November subscriptions are already available. Reserve a slot now because they are limited. 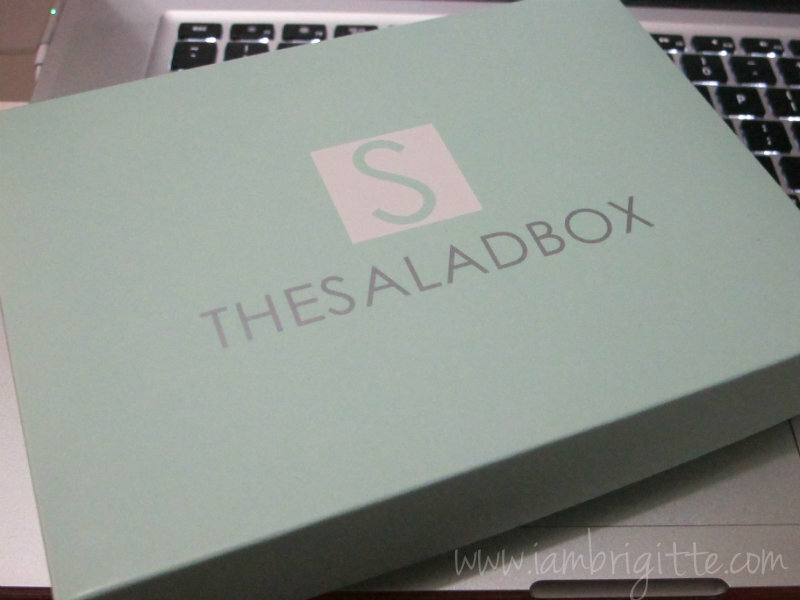 You can also avail of different SaladBox plans that would work for you and your budget.